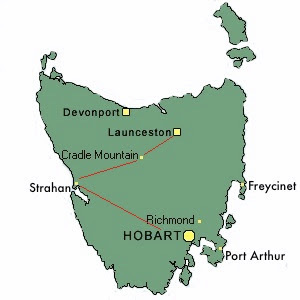 “How many ‘wow’ moments can one possible squeeze into one small island”, I wondered as we headed west and south to some of Tasmania’s most rugged and picturesque regions. If not the unbelievable green of the pastures, it was the stunning rock formations, inland lakes, raging white water, lush rainforest, quaint country cottages and pounding surf. Can this really be in the short space of an hour or two? “We are in the wilderness”, he grinned! And Leatherwood honey is one of those must-tries when you visit Tassie, or indeed if you are lucky enough to find some on the shelves of your local market. Leatherwood honey fills your mouth with a burst of vibrant, green wilderness – full-flavored and brimming with forest notes. 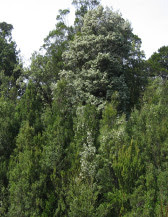 Like Manuka honey, Leatherwood also boasts many health attributes. We were taking the quick route as I had much to cover in a short time while on the island, but I’d urge visitors, particularly outdoor and adventure enthusiasts, to driving the scenic route up to the tip of the NW Coast, with its spectacular coastline, clean air and huge surf. The red line is the typical wilderness discovery route. 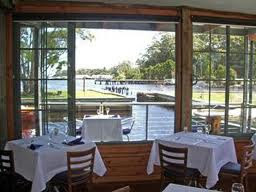 I’d pretty much prepared myself for “pub grub” as we wound our way through wilderness dotted - with small worker’s towns. Mind you, in Tassie, pub grub can be pretty awesome, but I wasn’t expecting a gourmet experience at our destination in Strahan, the harbor port where the famous Macquarie Harbor wilderness cruises part. 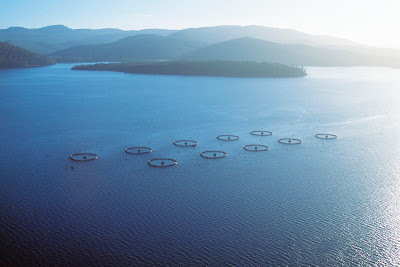 Macquarie Harbour is also home to Tasmania’s Petuna Seafoods Ocean Trout farms. This fine fish is actually an ocean going Rainbow Trout and Petuna have managed to mimic its natural life wonderfully, starting in fresh water then released into ocean pens at about 1 percent density – the pens are rotated regularly, protecting the environment and giving the fish the freshest cool water imaginable. The harvest is quick and painless and they are bled immediately after, to bring customers the most wonderful quality flesh. Deep pink, moist, rich and pure - no wonder the Tasmanian Ocean Trout is coveted by chefs the world over – think Tetsuya, Greg Doyle of Pier, Sydney and Hiro Sone, Napa and San Francisco, where it is a menu staple. My room at the Strahan Village was divine – a compact, well-equipped kitchenette and huge bedroom, then down a few steps to a lounge and balcony to sit and enjoy the changing tides. Darn it that I had to leave before dawn in the morning! Sleep was good – how could it not – ocean breeze, tinkling sails and the gentle wash of water as it rolled over the shore.